Note: Some browsers will report that this is a dangerous file because it contains a "keyboard script." Call me if you have concerns. Check the Tips for a successful demo below. Demo limits you to 10 merges at a time. 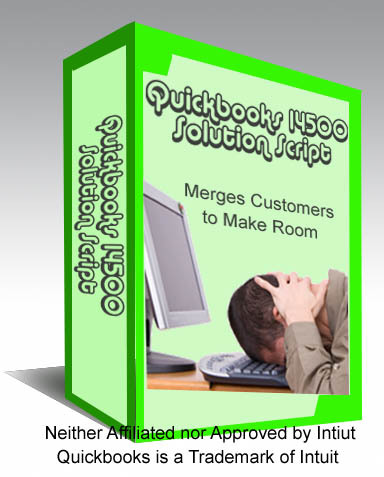 Quickbooks 14500 Solution will allow you to continue using Quickbooks after the 14,500 limit has been reached.The demo version demonstrates how this works by merging up to 10 customers, items, and vendors. Note: Your computer may give you a VIRUS WARNING when downloading this. This is because this program uses a "keyboard macro" and makes Quickbooks think you are hand-typing the "merge" commands into the keyboard. This is the only way Quickbooks will allow it. In any case, if it was a virus and hacked into your computer to steal $3,000.00 -- oh wait, you already HAVE that virus. It's Called Quickbooks! 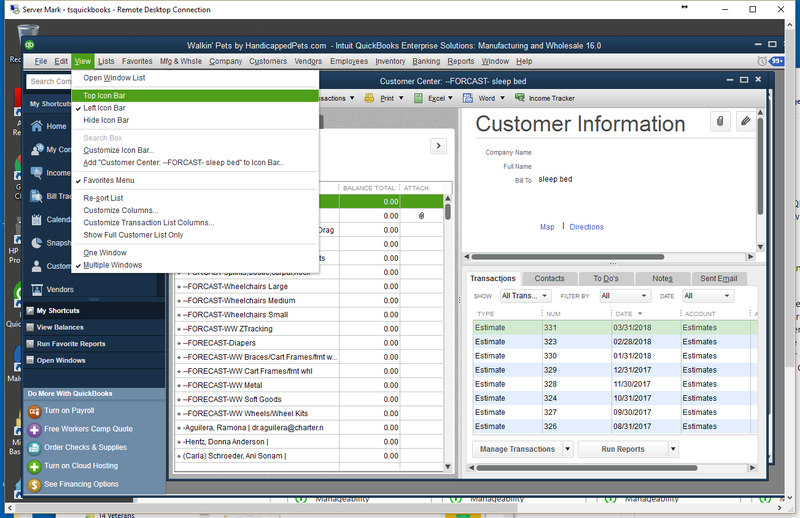 2 - Quickbooks changes "All Customer" view to "Active Customers" after each Merge. This is NOT the correct Customer screen. See next photo. This is the correct customer screen. 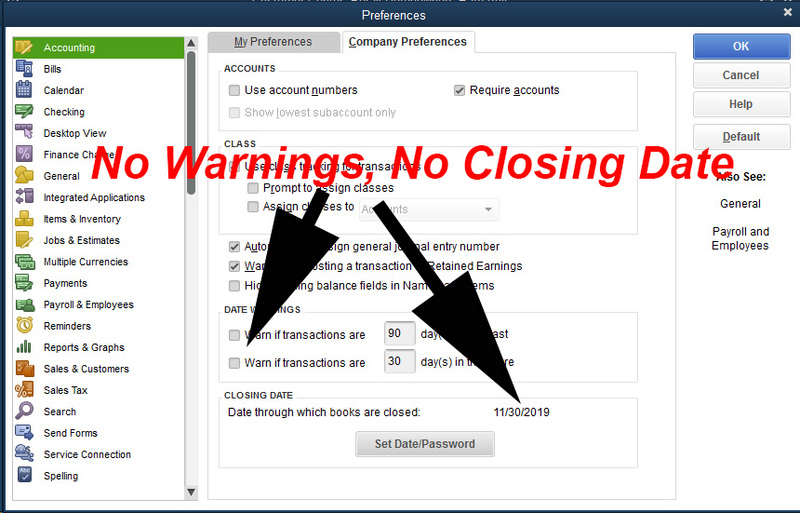 In Edit->Preferences, Uncheck "Press Enter Moves Between Fields"
Make sure thare are no date warnings or Date Password for closed years. You'll need to be logged on as an administrator. Don't worry, merging past year transactions will not change any financial data. This is a squirrely little problem that a few users have reported. 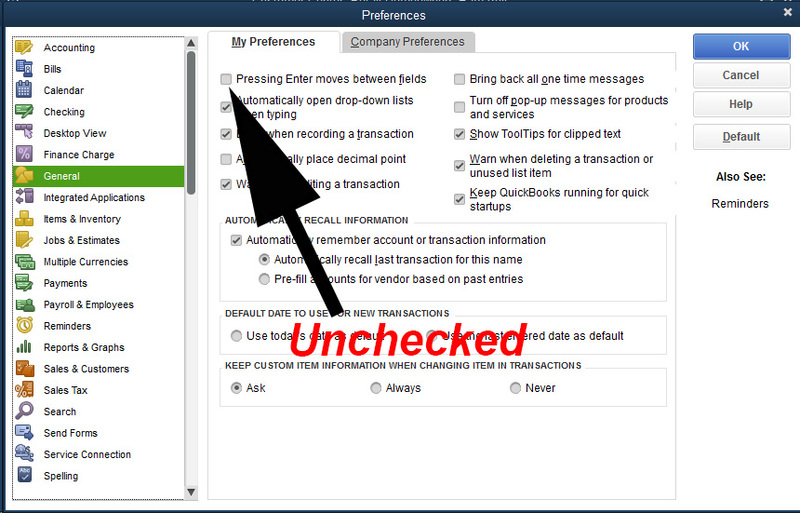 This has been discussed on the Quickbooks forum and is an admitted bug in Quickbooks (the only one?). Sometimes, inexplicably, the sorting order changes after merging. Often, it can be fixed by re-sorting the list, changing the view, then changing it back (doesn't make sense to me, either). Click View, change the view from Left to Top. 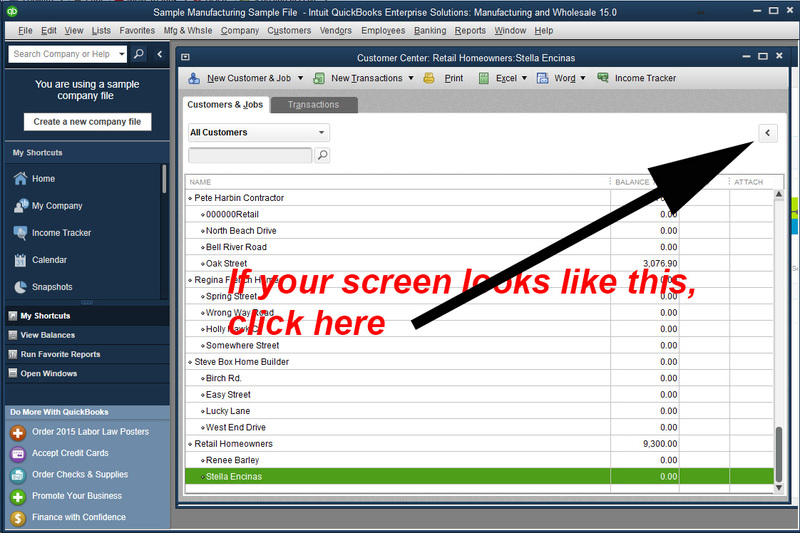 Try a Manual Merge and verify that the "All Customers" box stays the same. Now, you can change it back to Left Hand view. Also, Re-Sort the list. If that doesn't work then this program will not work for you and I can't tell you why. This program is called a "Keyboard Script". 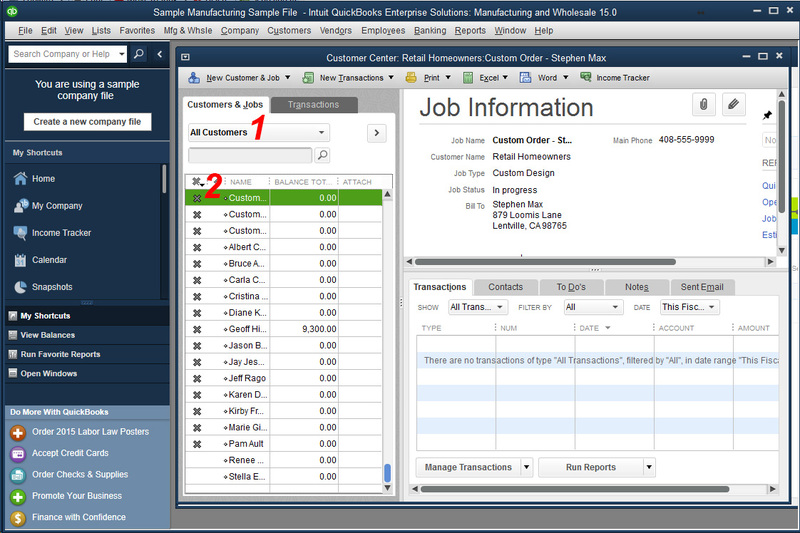 It works by simulating they keystrokes needed to merge Customers, Vendors, and Item. Note, there are some other keystrokes that are entered on certain conditions, like if a window does not close, but these basics will provide us the troubleshooting we need.